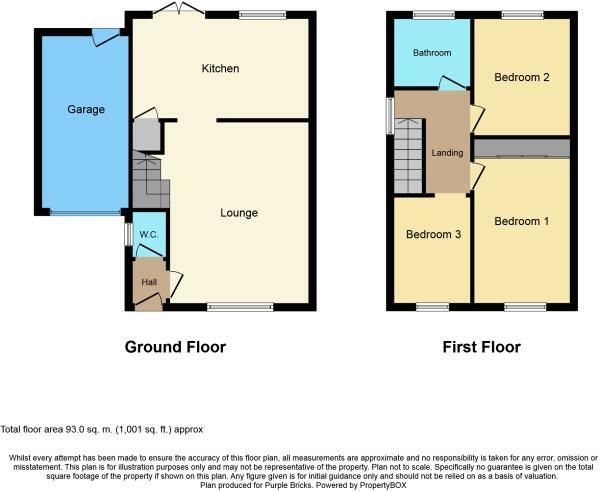 As the floorplan shows, this link-detached property measures 1001 square feet over two floors. On the ground floor is an entrance hall which leads to the principal reception rooms. The large open-plan sitting room is the hub of this home and provides enough space for a good size sofa set and furniture. From the lounge is the kitchen/diner (with French doors to the garden) which provides enough space for a good size dining table and six chairs. The kitchen area features a range of modern wall and base units with square edged granite work-surfaces and upstands. There is a sink with mixer tap, a built-in double oven and four ring electric hob, an integral fridge/freezer and space for a washing machine. 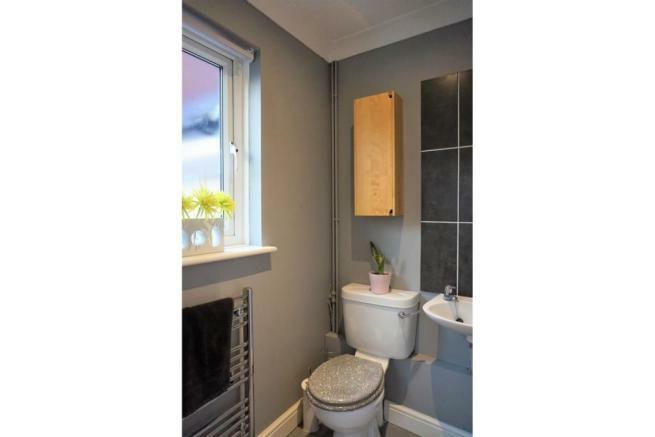 Further ground floor accommodation includes a WC and useful under stairs storage. Upstairs there are three bedrooms all served by a modern bathroom with the master bedroom featuring sliding wardrobes. Outside the low-maintenance garden features a raised patio providing the ideal space for outside entertaining and an area of decking at the end of the garden. There are several borders with a variety of plants and there is a path that leads to the rear of the garage where there is a door for access. To the front is a block-paved driveway that provides parking for several cars and there is access to the single garage with power and lighting. Located within close proximity of Ipswich train station for all links out of Ipswich. Within walking distance to Ipswich town centre and a recreation play area and green. Providing easy access on to the main arterial routes in and out of Ipswich including the A12 and the A14. The property is located up a private drive, set above the other houses. Disclaimer - Property reference 658585-1. The information displayed about this property comprises a property advertisement. Rightmove.co.uk makes no warranty as to the accuracy or completeness of the advertisement or any linked or associated information, and Rightmove has no control over the content. This property advertisement does not constitute property particulars. The information is provided and maintained by Purplebricks, covering Anglia. Please contact the selling agent or developer directly to obtain any information which may be available under the terms of The Energy Performance of Buildings (Certificates and Inspections) (England and Wales) Regulations 2007 or the Home Report if in relation to a residential property in Scotland.